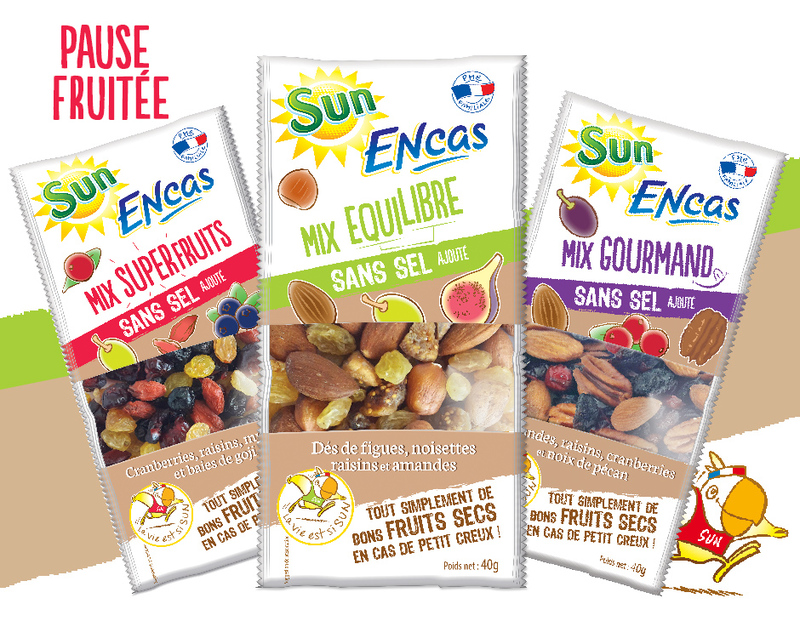 SUN SNACKING in your pocket: snack on the go! What better way to snack on the go – when you’re peckish, waiting for a train, feeling that late-morning lull, doing some exercise or just for pleasure – than with a dried fruit and nut mix? We want to make dried fruit and nuts accessible to everyone. That’s why we’ve come up with these individual bags of dried fruit and nut mixes – perfect for retailers and consumers alike! These little bags are ideal for vending machines, deli and bakery counters, in sports facilities, on petrol station shelves, and in all other shops and stores selling products to take away. They’re a great 5-minute snack for foodies on the move, at the office or before exercise. They contain no added salt, are packed with vitamins, minerals and fibre, and are the perfect snacking option no matter where you are.